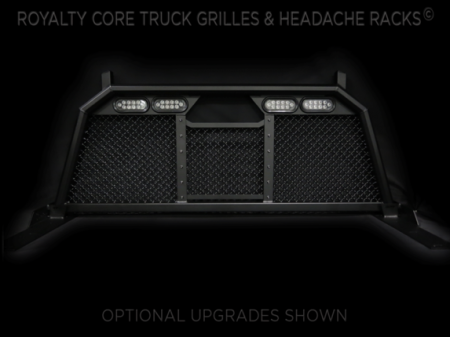 Royalty Core’s RC88T Cab Height Headache Rack is made from heavy-duty T6 billet Aluminum Mesh which gives you maximum rear view visibility and keeps your cab cooler from sun-rays. 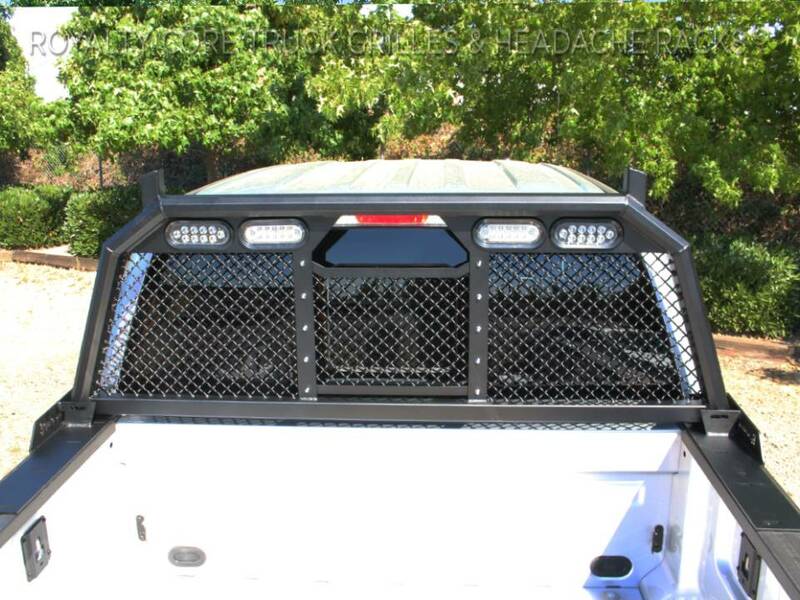 The same custom studs from their grilles hold a removable centerpiece for slider window access. You can add a personal touch to your headache rack by adding a custom truck emblem/logo. The RC88T also comes with integrated LED taillights to provide you with more visibility from behind. 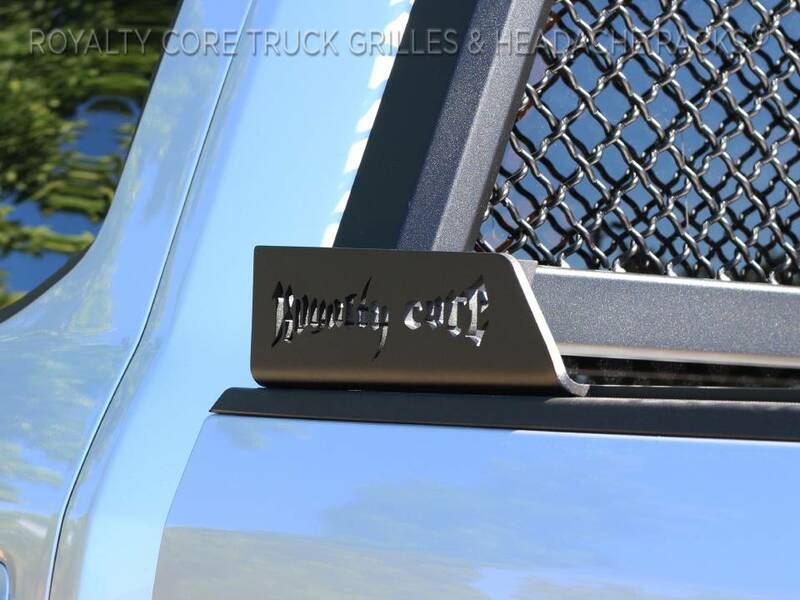 Your Royalty Core Headache Rack is the final line of defense against cargo crashing through your truck’s back window in the event of emergency braking, collision, or bumps. 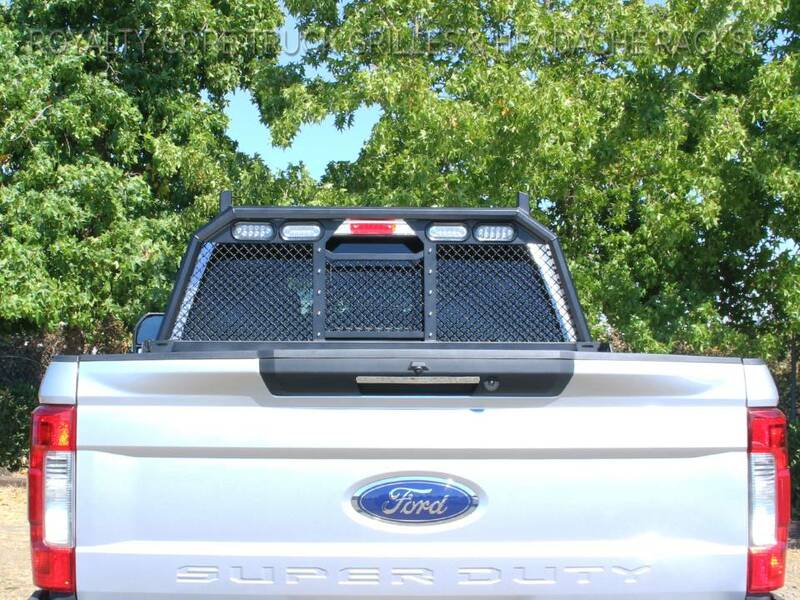 This RC88T Cab Height Headache Rack is custom made to fit the exact dimensions of your 2011-2016 Ford Super Duty F-250/F-350. Custom Made to Fit the Exact Year/Make/Model of Your Truck. 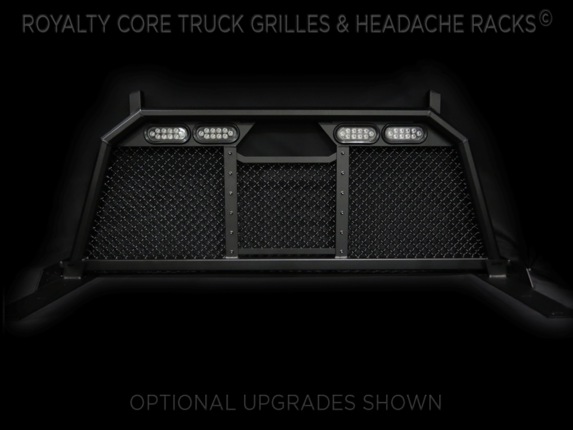 Tested thoroughly before it’s shipped, your Royalty Core custom headache rack comes with a lifetime warranty. 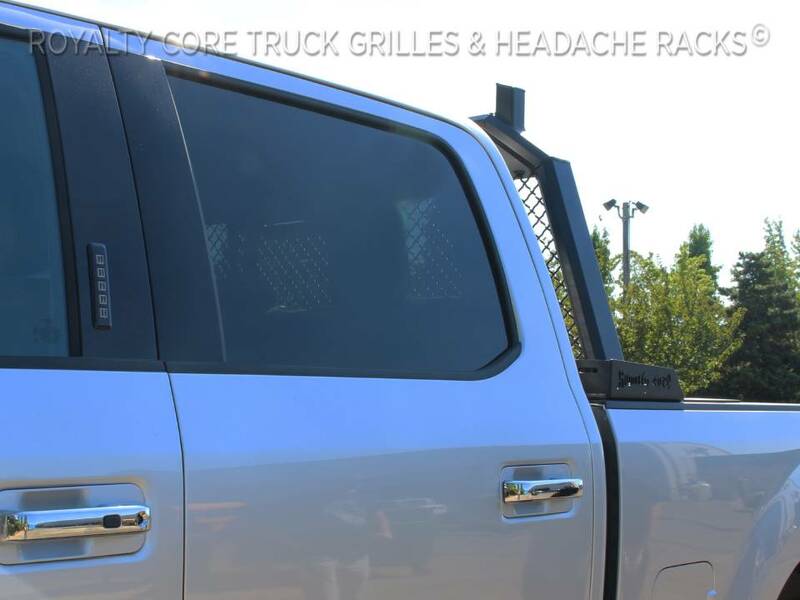 Select your options at the right and know you’re ordering the toughest headache rack that’s been proven to endure the harshest on-road and off-road conditions. Shop now.